One more defendant in Kazan Cathedral terror plot case to be imprisoned | Russian Legal Information Agency (RAPSI). ST. PETERSBURG, December 6 (RAPSI) – A native of Tajikistan having Russian citizenship Firuz Kalavurov has been sentenced to 3.5 years in penal colony for failure to report plotting of a terror attack in St. Petersburg’s Kazan Cathedral to police, the United press service of St. Petersburg courts has told RAPSI. Moreover, a court found that Kalavurov was keeping explosive in his apartment. Kalavurov is the only defendant in the case, who pleaded not guilty. Other defendants cooperated with investigators and made confession. According to prosecutors, Russian citizen Yevgeny Yefimov decided to commit a terror attack on November 8, 2017. Investigators claimed that he planned bombing to happen on December 16 but failed to actualize his plan as he was arrested on December 14. He repeatedly discussed the crime’s details with Kalavurov and two other defendants Shamil Omargadzhiyev and Aliskhan Esmurziyev. On June 27, Esmurziyev received 2 years in penal colony settlement and a 50,000-ruble fine ($750) as part of the case. The defendant pleaded guilty to failure to report a crime. Yefimov was given 5 years in a high security penal colony on August 9. Omargadzhiyev was found guilty of failure to report a planned terror attack and illegal possession of the Kalashnikov assault rifle in late June. 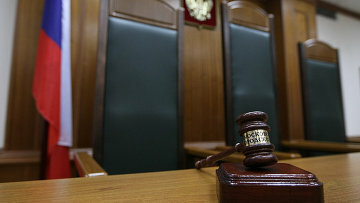 In September, the St. Petersburg City Court mitigated his 2.5-year prison sentence by 6 months and reduced a fine imposed on the defendant from 50,000 to 30,000 rubles ($450). 10:59 06/12/2018 A native of Tajikistan having Russian citizenship Firuz Kalavurov has been sentenced to 3.5 years in penal colony for failure to report plotting of a terror attack in St. Petersburg’s Kazan Cathedral to police.